6th Annual Venice Community Picnic: August 4th! - Yo! Venice! Home Venice Beach Events Kids Events 6th Annual Venice Community Picnic: August 4th! 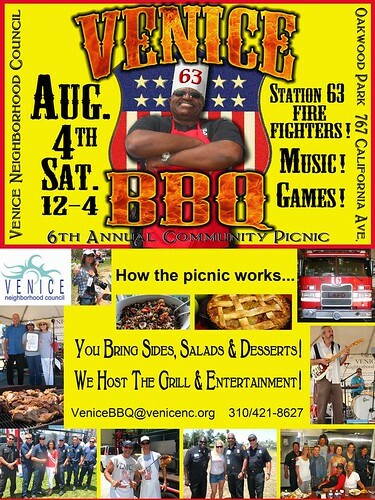 6th Annual Venice Community Picnic: August 4th! The 6th Annual Venice Neighborhood Council community picnic will be held at Oakwood Park on Saturday, August 4th from 12-4pm.